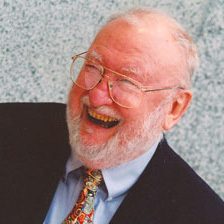 William Birdsall joined the School of Social Work as an associate professor of social work in 1973 and was named associate professor emeritus in 2001. His major interests were in policy analysis and program evaluation. He has done extensive work around policies regarding prevention and treatment of women's drug abuse, social security and welfare programs, and measuring poverty and inequality, and the prevention of child sexual abuse. He has evaluated programs regarding mental health client outcome studies, evaluation design, benefit cost analyses, survey research, and validation of microsimulation models. During his career, Professor Birdsall was a principal investigator on several major projects including the Detroit Area Study, a USHHS-SSA Research Grant, and a University of Michigan Rackham Fellowship and Research Grant. He has served the university as chair and member of the University's Budget Priorities Committee, and as vice president of the U-M Chapter of the American Association of University Professors, of which he was president from 1983 to 1984. He also served as a member of the American Economics Association, the American Statistical Association, the American Association for the Advancement of Science, and the Association for Public Policy Analysis and Management. Policy analysis, program evaluation, prevention and treatment of drug abuse in women, poverty, inequality, welfare. Birdsall, W. C., Reed, B. G., Huq, S. S., Wheeler, L., & Rush, S. (2012). Alcohol-impaired driving: Average quantity consumed and frequency of drinking do matter. Traffic Injury Prevention, 46(11), 24-30.